Compared to other 4-axle centers Hurco&apos;s are as accurate, faster and easier to use than any other. 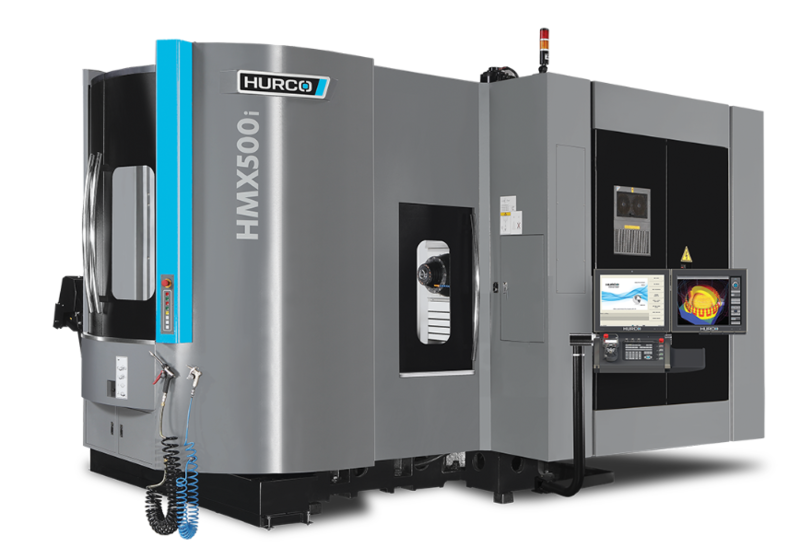 The HMX machining centers are ideal for small to medium series. The design supports a better chip removal - the rest is done by gravity. The unique construction of the 4-axis center has a high processing speed and a high precision, which allows advanced processing. It allows a much more precise contouring and higher surface quality compared to vertical machining centers. The box-in-box design results in higher stiffness than the biased dual ball screws. The HMX has a fast dual-range, sending you what ensures short cycle times. The fully integrated 4-axis capability of HMX allows the production of complex parts that need to be processed efficiently and accurately.